I run on coffee, with an average consumption of .25 mugs per mid-tier GRift. Naturally that fuel efficiency drops down at higher difficulties where more torque is required. I've been known to switch to Chardonnay when running in night mode; I've never owned a purse – if it doesn't fit in pockets, it's not worth carrying it around. I like plants, although am sad to say most of the flora in my care is essentially on an extended death row (with the possible exception of few sticks of Lucky Bamboo, which is well deserving of its name); I'm still unsure what's the big deal with those long walks on the beach, when there are perfectly good rocky beaches that you can climb, rather than walk; I am a cat person, although I've been without a cat for the past 16 yrs. Okay, I hope that's enough of a formal introduction, let's move on to the first article of business. Laurelynd#1459: I have an extensive collection of Symphonic and Power Metal records and all the complete works of Terry Pratchett and Robert Rankin, to date. Needless to say – I'm an avid fan of all of the above. I can MacGyver my way around most issues that require anything less than a certified rocket scientist or brute force exceeding what I could expend with the longest lever in reach. I can also wiggle my ears in a slightly unsettling manner, but other than that – I have no outstanding talents. 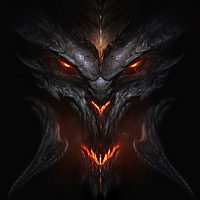 Grimiku: What’s your history as a gamer, and with the Diablo franchise? Laurelynd#1459: My earliest sentient recollections of playing video games date back to the early '90s and involve titles such as King's Quest, Legend of Kyrandia and Monkey Island. Sid Meier's Civilization and Colonization series have held their sway over me for periods of times in the past, but – other than Diablo – I suppose the game that defines my gaming career is Heroes of Might and Magic. My husband is entirely to blame for my ongoing infatuation with the Diablo series, as he introduced me to D2 back in the year 2K. It is still a treasured family memory how he used to carry most of my boss fights back in the day, because the very words of “Not even Death can save you from me” used to send me running around in uncontrollable fits of panic. I still ended up with a 70-something Paladin and an 80-something Assassin later on. Laurelynd#1459: I am not much branched out when it comes to video games and I only tend to play one or two things at a time. For very long time. I recently finished the latest installment in the King's Bounty series, but mostly stick to D3 these days - with frequent HoMM 3 intermissions, of course. HoMM 3 is an amazing example of how a game's replayablity can be almost infinitely expanded by a map editor and modding tools in the hands of its player base. I, like many others have been at it, on and off, for the past 15 yrs. Laurelynd#1459: I've been fooling around with a Roland Crusader the past couple of weeks. That awesome ancient Blood Brother dropped for my Monk and it was literally begging to have its main stat re-rolled into STR, so I found myself almost forced to oblige. Laurelynd#1459: I've been with clan ASPIS almost since the introduction of clans into the game. As our Fabbylous leader is fond of advertising – it's pronounced “as-piss”, but it derives from the ancient Greek for “shield”. Reason being that the clan took off as a core congregation of shield Barbs and gradually evolved into a predominantly Barb/Crusader assembly. I am the only member who mains a Monk at all times, but nevertheless – it's a very friendly and welcoming society that I feel right at home in. Laurelynd#1459: The most embarrassing moment actually happened while I was NOT playing. I left my character on the home screen that day and popped off to the kitchen for the next cup of coffee, then got distracted by something else and when I finally returned to my den, I was right on time to witness my 4 yrs old daughter (who is uncannily skilled with the mouse) nonchalantly amble out with an expression on her face that I've learned to translate as “I didn't do it”. Then I notice my Monk is sitting in mid town, with a group of 3 other people and a chat box full of questions. By reverse-engineering the events, it turns out that a friend of mine had inadvertently left his game open while running with 2 other mates for a respectable place on the 3 players LB. They spent couple of hours farming high keys and then fishing for the right GRift. And when the perfect storm finally hit them and they got the desired RG with a good time on the clock – my kid crashed into their game. Being too polite to simply kick her out, they resorted to yelling at my Monk to either come and help or GTFO. And since neither of those things happened, they resolved to finishing the fight on their own and failing their goal. They headed back to town, eager to give me a piece of their mind, however on arrival were rendered speechless by the sight of my Monk running in neat circles around the town's WP, for 5 min straight, only occasionally pausing to switch direction. Laurelynd#1459: While there's been a whole lot of awesome moments in playing this game, I'm particularly fond of the occasion when I found my prized Flavor of Time (700+ Dex/9.5 CC/ 99% CD/ 8% CDR/ OS/ Elemental res). I was just wrapping up a solo GRift run, trying to improve on my standing record, when I got the on-screen notification that this game session will self-destruct in 15 min (or something along those lines). Figuring that 15 min is enough to give another GRift a shot, I dive into it, finish with plenty of time to spare, go up on my personal victory record, get all 3 x 60% Gem upgrades successfully and head back to town to ID the spoils. Then I see that ammy pop up into my inventory right before the play session imploded onto itself. Due to some unplanned maintenance that shut the game for the next few hours, I was left wondering whether I had only imagined the aforementioned stats, but as it turned out – it was all real. 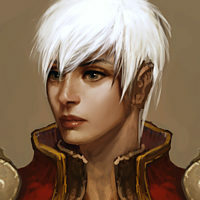 Laurelynd#1459: I had watched all there was to watch about D3 before Vanilla approached release and for some reason I can no longer remember, I had pegged myself down as a future Wizard. Then I got into one of those early Beta waves, test-drove all classes to 13 and irreversibly transitioned into the Monk camp the very same day. My main Monk, Xenia, came into existence in the early hours of Day 1 after a long and laborious struggle with Error 37. It is not for any single reason, but if I have to point at the most culpable factor in the line of suspects – I'll have to stick my index finger at speed. That feeling of fast punching stuff that never even saw you coming is simply exhilarating. Laurelynd#1459: LTK, hands down, all runes applicable. To me, LTK is the essence of all things Monk and there is nothing more satisfactory than a good old-fashioned Chuck Norris style round-kick. It isn't optimal, as in most situations where it gets to squeezing direct damage out of a spender, you would get more value in exchange for your Spirit cost from a Bell, but the Bell simply doesn't have the same feel to it. So I try to make-do with LTK whenever possible, despite all of its drawbacks and imperfections. Grimiku: What kind of Monk do you prefer? Quick tempered with fists of fury, or walk softly while prepared for battle? Laurelynd#1459: When it comes to Monk, for me it's always go fast or go home. I lean towards using quick-reaction skills in most of the builds I play, as they give more satisfactory sense of control over the character. Pressing a button and then sitting back to enjoy the view while my Monk carries out some prolonged task simply doesn't feel engaging enough and can be outright frustrating, if you're unable to interrupt that sequence when you notice something unsavory is about to hit the proverbial fan in the background. By extension, I tend to favor dual-wielding when possible and the recent development of events where 2Hers have been dominating the weapon scene across most classes has been very displeasing for my preferred style of play. Laurelynd#1459: I'm currently trying to get on Kadala's good side in an effort to obtain ancient Gungdo, and as we all know too well – her favor is only bought with lots of Shards. As such, I've been mostly speed running GRifts 38-42 with a fairly conventional physical build that calls for LTK:SA and EP:TFiW, in conjunction with Madstone and SSS:SA. I am not very fond of the recent R6 trend, so this one gets the job done. However, outside of Shard farming duties, I've been working on a fun, mostly T6-oriented setup that nearly entirely relies on various elemental gear and Legendary Gem procs of all flavors for damage, all of this nicely rounded up with Convention of the Elements. It doesn't fly very high in GRifts, but is extremely engaging to play, as it turns my Monk into a fast moving force of nature, spewing Lightning forks, Fire balls, Frozen orbs and Holy bolts in all directions as it goes. Grimiku: Is there a particular item you’re after, and how would you change your build if you found it? Laurelynd#1459: I can't say I'm after a particular item, as I've already amassed a considerable trove of rather nice Monk gears and have the means to pull off any build that takes my fancy. Still, well rolled ancients are always in demand and a good ancient Slanderer won't go amiss - I'd very much like to pair it off with its ancient brother, as I have a soft spot for the Istvan set. 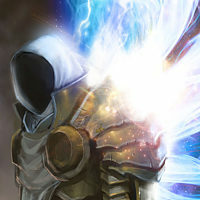 Grimiku: If you could build a supporting set or Legendary item around a skill, what skill would it be and how would you support it? Laurelynd#1459: I'm going to pitch for my favorite, LTK. The skill is in definite need of love, when it comes to item support. It just isn't right that WoL has the Torch (30% more damage at 50% less cost) and the other distinguished direct damage dealer in the Monk's arsenal has... GNK?! I'd really like to see a weapon that complements the LTK play style and since due to its innate higher attack rate the skill naturally favors faster punching – it only stands to reason to have a Fist Weapon up to the task, or rather – a pair of them. This obviously points to the Shenlong set, as it would be the ideal pair to re-purpose for LTK – this way the Bell gets to hit slowly and heavily with its 2Her and the Kick still has both weapon slots occupied, while retaining its signature faster attack. Ideally, as a set bonus for the new Shenlong I'd like to see something that expands LTK's AoE to a scale comparable with the Bell's, while also boosting its damage output by some hefty % multiplier. Laurelynd#1459: Bring back the Generator builds! There was a multitude of Duo-, Tri- and Quad-Gen builds (plus a bunch of hybrids) in existence before RoS took the scene. Being somewhat sub-par to classical spender-based builds, they were never extremely popular, but used to hold their own in MP10 quite nicely. Today this is no longer possible even in T6, despite all Generator-boosting factors that have come out since then. I would really love to see a boost to the damage factor across all Generators and some ground works affecting Combination Strike, to allow for a build with a high up-time of Generator punching and semi-passive Spirit spending (perhaps a direct damage dealing Mantra rune for each of the 4 available options, although EP would do just fine as it is). Laurelynd#1459: “It is not ready yet”. I always finish this one off in my head with “That's what he said”. Laurelynd#1459: In a GRift, never mistake a budding arcane ray bulb for a purple progression orb. And I should really start following my own advice. Laurelynd#1459: My good friend and an excellent Monk-to-the-bone, XinFanChen#1496. Laurelynd#1459: Which mob do you dread encountering in GRifts the most and how would you like to have it changed, to make those run-ins a bit more manageable? Laurelynd#1459: I'll have to go with EP (all runes, except maybe SG). The irony of it currently being present in my leading build isn't lost upon me, but that's only made possible by the Madstone and SSS. Under any other circumstances, trying to tag with a Palm a puny half-dead Fallen that insists on cowering behind the angry elite Mallet Lord who keeps swinging at you with all fours, while you do nothing but waste Spirit and time, is simply too infuriating. Got any questions yourself for Laurelynd#1459? Post them below! This is too much for me to read, however, if anything could make log-in after months and post a comment is the great Laurelynd! I think you guys definitely need to record a video of The Booting of Sescheron! Gratz LL on the interview hoping to see a return of LTK or tri-gen builds.Hoping to get a chance to run with ya in t10 when 2.3 comes out.Well see ya in clan chat gratz again. “It is not ready yet”. I always finish this one off in my head with “That's what he said”. 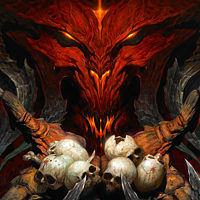 Question: Are you going to introduce your daughter to Diablo (or does she play already)? I find it really cool when parents play games with their kids. @ laurelynd , I remember you from the original BOG group, I still have you on my friend list ,I always loved your personality and sense of humor.I love seeing the monk community from the old vanilla days still out there kicking around ,you, fitz, KJ, piffle Captain carl , Manu , all the people who gave me great advice in the early days :D.Thanks for keeping the spirit of the original group of monks out there to all of you .Your advice on the arcane beams is spot on by the way :D peace hope to see ya out there again ,and I also can't wait for xin's meat and greet lol. I just want to confirm that the sense of sarcasm and humor found in this interview is exactly what she is like at all times in the game. LL is special and I can say that I'm lucky (or unlucky depending on your point of view lol) to have exposure to her special personality on a regular basis. Thanks for bringing a lot of fun into our lives. Looking forward to XFC's MnG!